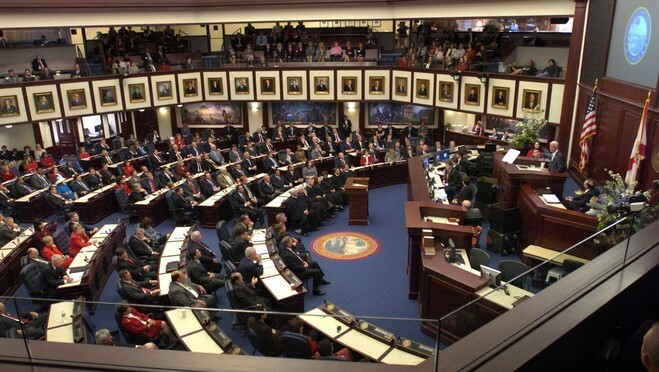 The final two days of the 2011 legislative session proved to be extremely productive for the development community, as the Florida Legislature approved HB-7203 by including it in the budget bill which passed late Friday night. The bill shifts almost all oversight of the real estate development process from the state level to the local level, which essentially eliminates the bulk of the duties that are presently handled by the Florida Department of Community Affairs (DCA) and divides the few remaining duties of the DCA among different existing state departments. The bill prohibits local authorities from imposing impact fees on non-residential developments for a two-year period and immediately extends all permits for large-scale developments for a period of seven years. The legislature felt that the current system of multiple layers of local and state approvals had become too burdensome and costly, and abolishing state oversight would encourage future development and stimulate the economy. A few days earlier, the legislature also passed HB-993, which shifted the burden of proof to citizens and organizations for challenges to water permit applications. Present law provides that a developer must prove that the new permit application would cause no pollution. HB-993 would require those who are objecting to the issuance of the permit to prove that the development would cause pollution. The change in the burden of proof was backed by the Florida Department of Environmental Protection. Both of these bills were considered priorities by Governor Scott and the legislature, and it is expected that the Governor will soon sign both into law. The South Florida real estate attorneys at our firm will continue to monitor and write about new laws affecting the real estate development industry in Florida, and we encourage industry followers to enter their e-mail address in the box on the right in order to automatically receive all of our future blog posts.